Don’t take chances – you need our professional difference. 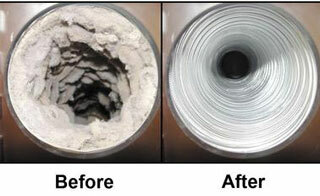 Why do you need regular dryer vent cleaning? 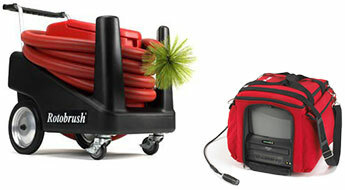 Reduces drying time by increasing air flow, saves money on utility bills! Quam’s Carpet Cleaning has been in business for over 25 years, and specializes in dryer vent cleaning with camera. We are locally owned, licensed and insured with a professional dedication to providing you quality dryer vent cleaning services at an affordable price. Why it is important to use a camera? Using a camera when cleaning out a dryer vent allows you to see first-hand that the vent has been properly cleaned. Our proprietary vent cleaning tools let us maneuver around bends and turns without unhooking vents which can be a costly repair if damaged. We use a combination of brushes and air to reach the hard to reach places where debris can build up, so you don’t experience reduced air flow. The Consumer Product Safety Commission estimates 15,500 dryer fires annually result in 10 deaths, 310 injuries and $84 million in property damage The Consumer Product Safety Commission recommends that the interior of the dryer chassis should be cleaned periodically by a qualified service technician to minimize the amount of lint accumulation. Because of this and new insurance standards we recommend having your dryer vent cleaned yearly for top performance and safety. By using Quam’s Carpet Cleaning to clean your dryer vent, it takes out the guess work, so you know just what you are paying for. Most people think cleaning their dryer’s lint screen is enough to keep their clothes dryer running efficiently and safely. The fact is, lint and other obstructions can build up in the dryer’s hose and vent creating costly and dangerous situations.